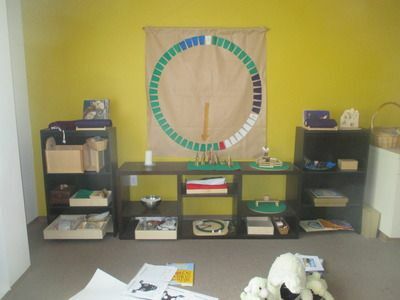 In our Godly Play classroom you’ll find specially created learning materials that help children experience God’s presence by hearing Scripture and responding in conversation, art and play. Godly Play uses Christian spirituality – expressed in sacred story, parable, liturgical action, and silence – to help children become more fully aware of God’s presence in their lives. Godly Play also helps children build friendships with one another and with the teachers. We welcome adults to join us, as well.